Wangdu is believed to be detained in Drapchi Prison, but no information has been made available about his location or condition since 2012. 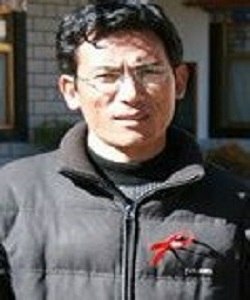 Wangdu is part of Free Tibet's In The Dark campaign, which aims to find disappeared Tibetans and work for their release. We are working on the cases of eight political prisoners held by the Chinese authorities, all of whom remain cut off from the world with little or no information about their location or current condition. Urge China to release them and respect human rights! We are writing to you to raise the case of Wangdu [旺堆], who is serving a life sentence in Drapchi Prison. There has been no public information on Wangdu’s status since 2012, we he was described as being kept in solitary confinement in the prison hospital with injuries resulting from beatings in prison. The lack of information over Wangdu’s location and current condition raises concerns that he is at risk of further torture or other forms of ill-treatment, and that he could also be being denied access to necessary medical treatment. We also urge you to use your power and discretion wherever the law allows it to support Wangdu’s early release through parole, medical leave or other means. We look forward to your assurances that he is receiving this treatment, to which he is entitled under the aforementioned legal provisions.